FCA has officially pulled the covers off its completely redesign minivan, sporting all new look, a vastly improved interior, and a slew of new technology, entertainment, and safety features – all riding on an all new platform. It’s so new in fact, FCA calls it the Pacifica. Gone is the Town & Country name along (with what FCA hopes) is the stigma about driving a minivan. It’s no secret Chrysler basically invented the minivan segment back in the 1990s. The 1990 Town & Country revolutionized family travel, combining the space and versatility of the then-popular full size van with a car-like driving characteristic wrapped in a medium-sized package. Thirty years later, the minivan is suffering against the crossover SUV with young, hip parents choosing style over functionality – refusing to “give up” and buy a mommy-mobile. It’s also blatantly obvious FCA is shooting for the moon with hopes of erasing that stigma of minivans. The new 2017 Pacifica wears a very attractive face, welcomes passengers with an upscale interior, and even offers a hybrid version that appeals to the eco-friendly crowd. Will the Pacifica be enough to reignite the minivan segment? Perhaps. 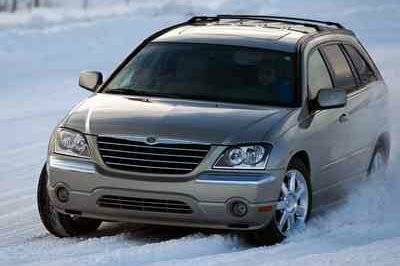 Chrysler has typically ran the segment, even in recent years with its aging Town & Country. Honda, Kia, Nissan, and Toyota offer highly competitive products, though none seem on the same level as the Pacifica. If any automaker has the chance to impact minivan sales, it’s FCA. 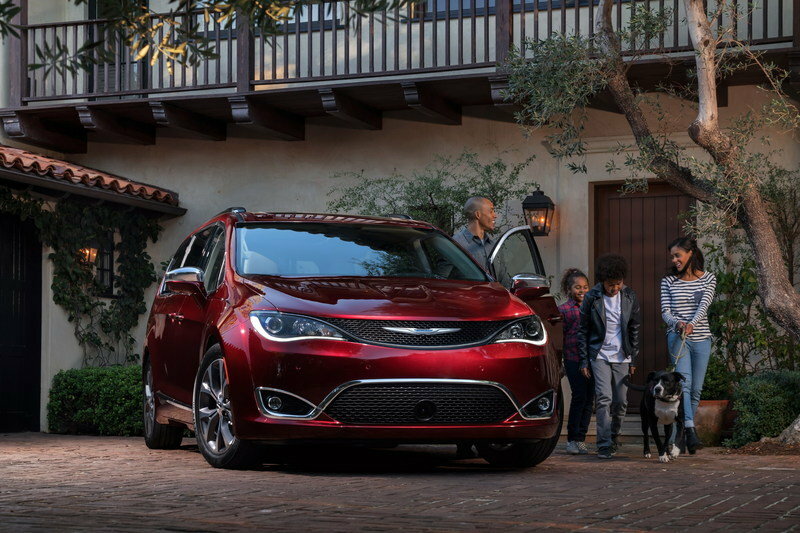 Update 03/21/2016: Chrysler announced the 2017 Pacifica will come with a pre-installed User Guide Application within the 8.4-inch Uconnect infotainment system that helps guide users in learning their vehicle. It’s basically a digital copy of the owner’s manual. 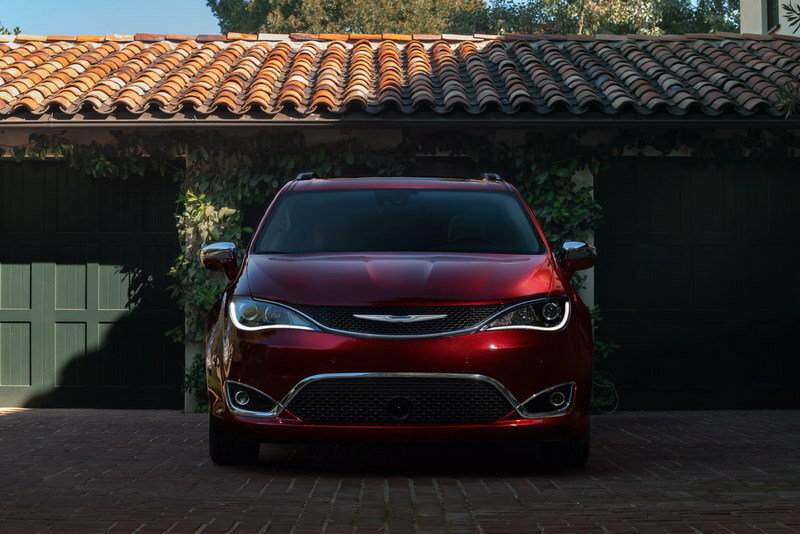 Continue reading to learn more about the 2017 Chrysler Pacifica. 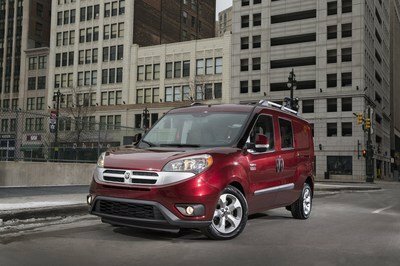 Understanding this naming swap is key to grasping what FCA intends for its new minivan. Automakers don’t often abandon storied nameplates with hard-earned brand equity and familiarity with consumers. Just ask any random person on the street to name a minivan. I’d wager eight out of 10 folks would blurt out, “Town & Country.” It’s a name synonymous with the family-friendly carry-all that’s been parked in suburban driveways for 30 years. So why drop it? It’s precisely the fact that the Town & Country has been parked in driveways for 30 years. The folks buying family-friendly vehicles today are the one who grew up with their parents having a Town & Country in the drive. Defaulting back to that might seem old-fashioned or dull. Plus, nobody wants to willingly drive the official vehicle of mom jeans and spilled Cheerios. Adopting the Pacifica name is meant to inject newness into FCA’s minivan. Now buyers can opt for an FCA minivan without calling it a T&C. At least that’s the theory. Now exactly why FCA chose the Pacifica name is beyond me. The last vehicle wearing that badge was an absolutely dull, ho-hum crossover plagued with reliability issues that lived and died in that awkward mid-2000s time period before the market collapse of 2008. Look at it. No seriously, look at it. Drop all your pre-conceived notions of what a minivan is, and look at it. It’s a completely new take on the family hauler, with it sharing not one inch of retro design or carry-over thinking. It’s sharp, it’s chiseled, it’s – dare I say – good-looking. Yep, the Pacifica is lightyears ahead of anything ever carrying the Town & Country name. Yep, the Pacifica is lightyears ahead of anything ever carrying the Town & Country name. 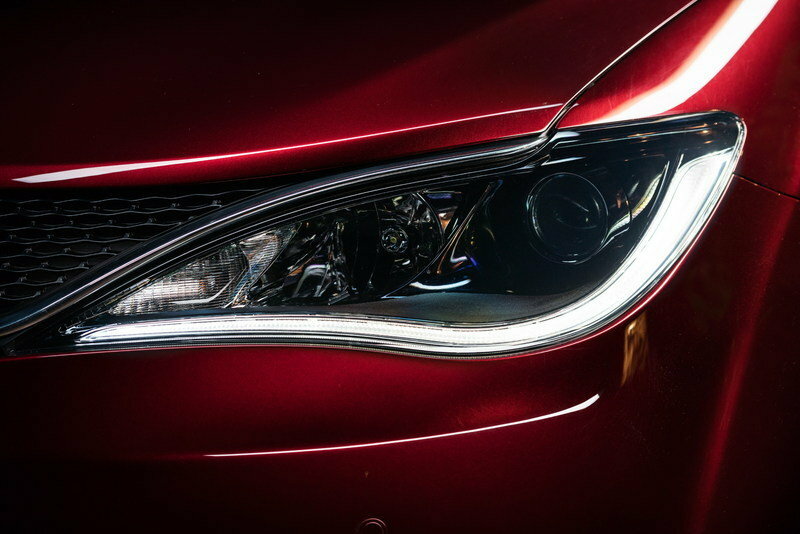 The front has obvious ties with the Chrysler 200 sedan, with its swoopy chrome accents, projector beam headlights, and modern feel. 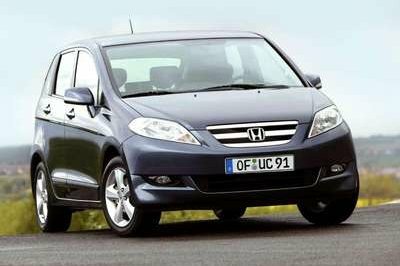 The front sends shapely body lines rearward, specifically a handsome crease that runs front the fog lights over the front wheels, and creates a slight ledge just under the side windows. An equally handsome body line comes off the front wheel and intersects the door handles before swooping downward at the rear. Chrysler’s new-age designs aren’t scared of chrome, and the Pacifica is no different. Chrome lines the front grille’s shapes, runs the perimeter of the side windows to help show off their unconventional shape, accents the lower sections of the side doors, and caps the design via the roof rails. The rear stays fairly monochromatic, with only a slim piece of chrome along the lower bumper. FCA’s current fetish with piano black accents is found here as well. The B- and C-pillars, along with a welcomed accent on the D-pillars helps further modernize the design. Even the wheels have a smoky chrome appearance. Of course, the exterior lighting is accented by LEDs. The headlights have LED daytime running lights underlining the bottom rime, while the taillights wouldn’t look out of place on a modern Dodge vehicle. The headlights have LED daytime running lights underlining the bottom rime, while the taillights wouldn’t look out of place on a modern Dodge vehicle. All told, FCA designers have moved the bar for the minivan segment. The Pacifica looks high-class, high-tech, and highly appealing. 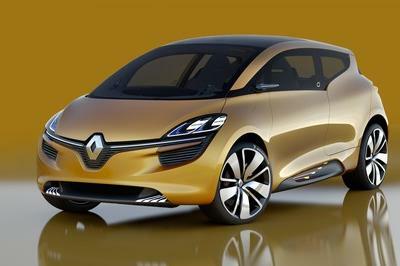 It abandons the old mommy-mobile feel for something more – something desirable – something cool. And that’s exactly what FCA needs. The Pacifica offers 10 color choices that include Billet Silver Metallic Clear Coat, Brilliant Black Crystal Pearl Coat, Bright White Clear Coat, Molten Silver Metallic Clear Coat, Velvet Red Pearl Coat, Jazz Blue Pearl Coat, Dark Cordovan Pearl Coat, Tusk White Pearl Coat, Granite Crystal Metallic Clear Coat and Silver Teal Pearl Coat. That Silver Teal Pearl is only available on the hybrid version. Just like the exterior, the interior raises the bar to new levels. The inspiration from the 200 continues here as well, with familiar switchgear, materials, and the 8.4-inch Uconnect system. Though the design is all new, the similarities with other FCA products help ties in the brand. 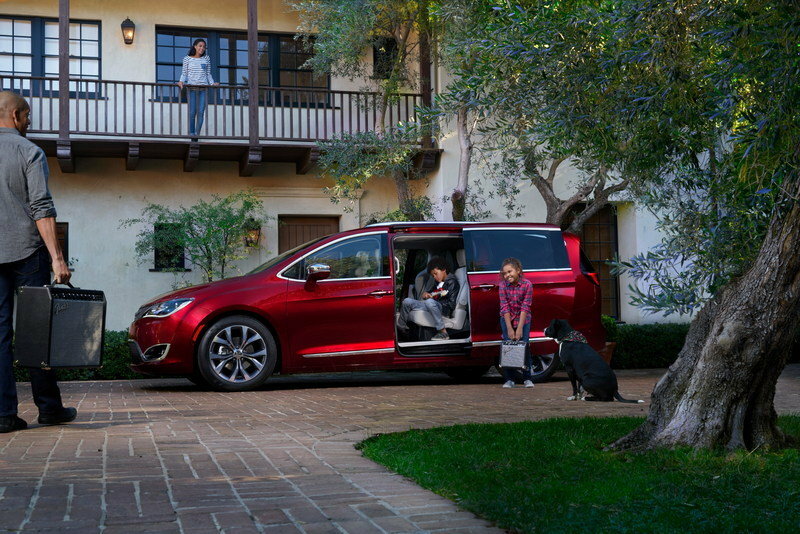 The Pacifica carries over the Town & Country’s ability to carry an 8x4 sheet of plywood with the second and third row folded, making this minivan far more functional than many crossovers on the market. The interior’s layout as a while doesn’t change much, either. The second row still offers Chrysler’s innovative Stow ‘n Go fold-flat captain’s chairs while the third-row bench still seats three. 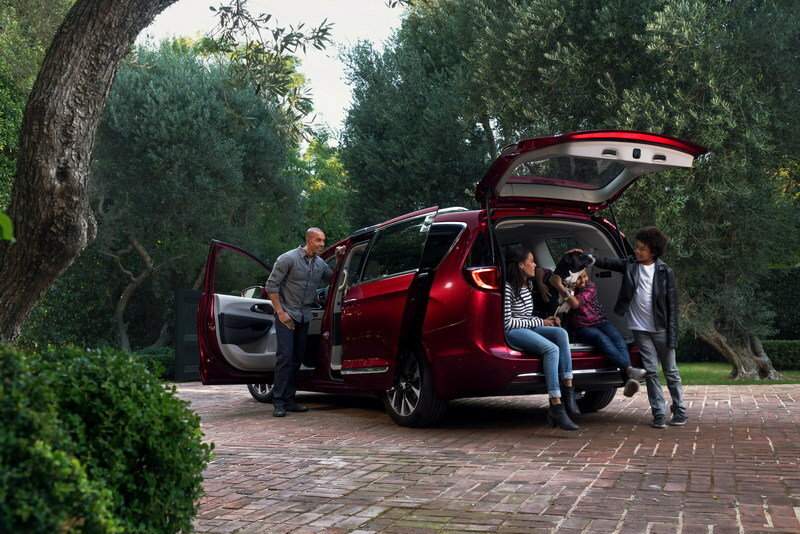 The Pacifica carries over the Town & Country’s ability to carry an 8x4 sheet of plywood with the second and third row folded, making this minivan far more functional than many crossovers on the market. 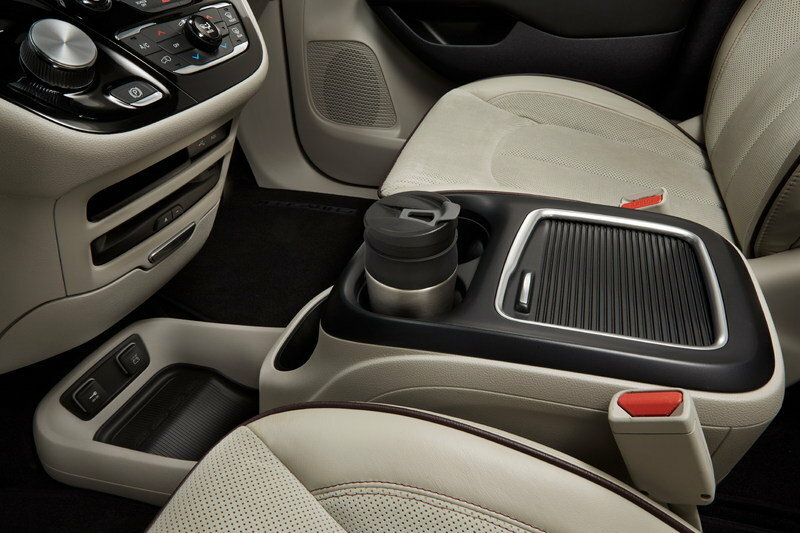 However, Chrysler didn’t just slap on some new upholstery and call it done. The Stow ‘n Go seats are updated to make operating it easier. Simply press a button on the B-pillar and the front seats power forward, allowing the second-row chairs to tumble forward into their floor tubs without having to manual adjust the seats. Press the button a second time and the front seats return to their position. Occupant entry is also improved, with the second row chairs being easier to tilt and slid forward for access to the third row, even with an empty car seat buckled in. 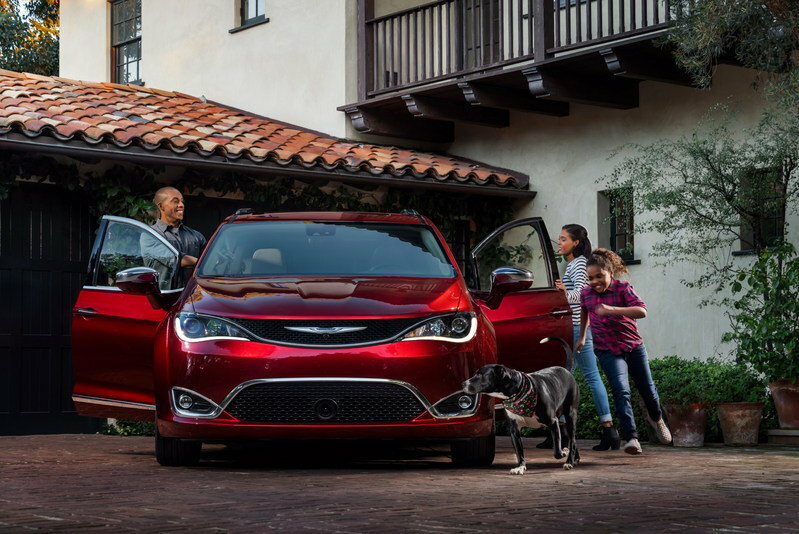 For the driver, the Pacifica offers a high-end experience, at least in the range-topping trim level. Perforated leather seats offer heated and cooled functions, the leather-wrapped steering wheel has chrome accents that match the other chrome on the dash, there’s an available radar cruise control system, and FCA’s ubiquitous rotary gear knob makes its appearance. 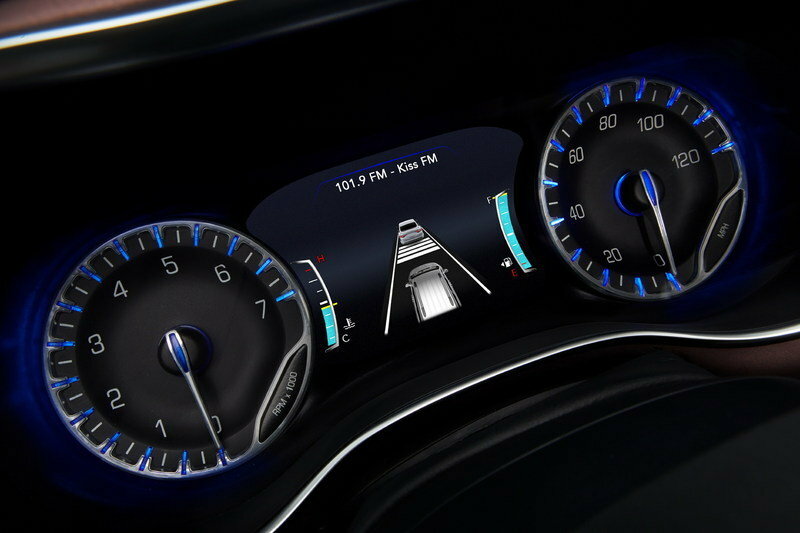 The familiar gauge cluster offers a large, full-color TFT display with tons of vehicle information screens, redundant entertainment and navigation information, and digital fuel and temperature readouts. 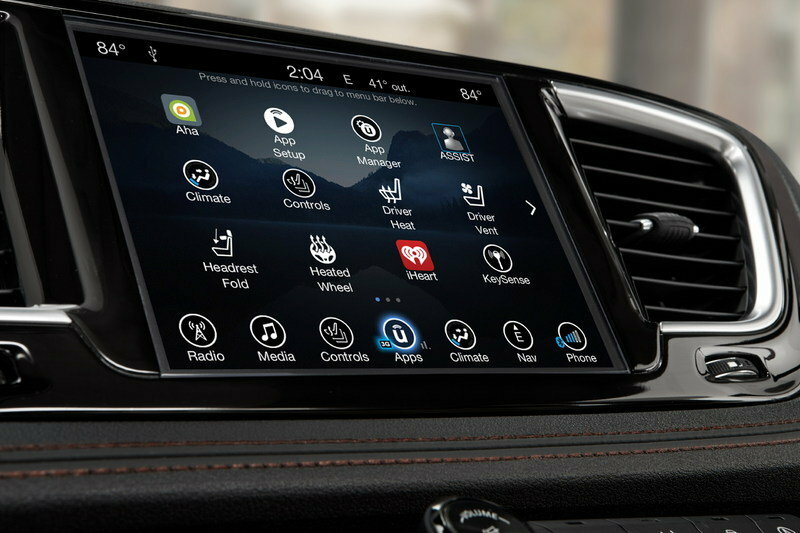 The 8.4-inch touchscreen houses Uconnect, which continues to lead the infotainment industry in style and functionality. The 8.4-inch Uconnect system will also come pre-loaded with the Pacifica’s owner’s manual and a user guide within an application. Users will be able to quickly search for vehicle information using a browser-like function. The information will include operating instructions, warranty info, fluid level standards, icon and symbol glossary, and other useful details. Rear seat passengers enjoy the tech, too. The available Uconnect Theater system has two high-definition, 10-inch touchscreens that can play movies and connect to gaming consoles and personal electronics. Smart phones and tablets can even allow for online surfing through the screens. Furthermore, three available stereo systems bring the tunes. The standard is a six-speaker system with Active Noise Cancellation. Those who like to rock can choose between the 13-speaker Alpine system or the 20-speaker Harman Kardon system. Other notable features include FCA’s Keyless Enter ‘n Go system with push-button starting, hands-free opening sliding doors and rear liftgate activated by a kick under the door, and a built-in vacuum cleaner from RIDGID, called Stow ‘n Vac. The 2017 Pacifica will come with two drivetrain options: the standard gasoline-powered version and a plug-in hybrid model. Here we’ll focus on the gasoline version, so check back with TopSpeed for our full review of the Pacifica Hybrid. It is worth noting, however, that the gasoline version will be the volume seller, thought the hybrid version should help garner much-needed attention to the Pacifica while helping FCA meet its CAFÉ requirements. The 3.6-liter Pentastar V-6 gains four horsepower and two pound-feet of torque, pushing it to a best-in-class power rating of 287 horsepower and 262 pound-feet of torque. The engine is basically the only carry-over part from the Town & Country, but it didn’t go unchanged. The 3.6-liter Pentastar V-6 gains four horsepower and two pound-feet of torque, pushing it to a best-in-class power rating of 287 horsepower and 262 pound-feet of torque. The engine also gets a two-step variable valve lift feature that helps with performance and better fuel efficiency, a new cooled exhaust-gas recirculation system, and an automatic stop/start function. The transmission is new as well. Gone is the old six-speed automatic, replaced by FCA’s current ToqueFlite nine-speed automatic. Power is sent to the front wheels, though the Pacifica is rumored to receive an AWD option in the coming years. FCA might want to dump the stodgy minivan vibe, but even modern moms are obsessed with safety. To that end, the 2017 Pacifica has a vast array of active and passive safety features. Parking is made easier thank to a new 360-degree view camera system and ParkSense Parallel and Perpendicular Park Assist. Adaptive Cruise Control with Stop and Hold functions are available, allowing the Pacifica to follow the vehicle in front of it while maintaining a set distance between it, regardless of speed. The system can bring the van to a complete stop and hold it there as well. Forward Collision Warning-Plus helps the driver avoid accidents by warning impending impacts and then automatically applying the brakes should the driver not react in time. LaneSense Land Departure Warning-Plus helps the driver monitor the traffic lane and even helps keep the Pacifica placed between the lines with small steering inputs. Blind-spot Monitoring is also available. If a crash happens despite the active safety equipment, the passive features take over. The Pacifica is constructed from high-strength steel to help protect the passengers, while a slew of airbags deploy to stave off injuries. Pricing for the Pacifica in its base trim, the LX, starts at $28,595. That actually undercuts prices for the last-generation Town & Country by $1,400. What’s more, the Pacifica has a condensed version of trim levels over the T&C, going from seven to five. That helps condense features into each trim package, making higher trims more inclusive. Prices top out, before options, at $42,495 for the Pacifica Limited. A $995 destination fee is then added to the MSRP, along with taxes and other applicable fees. 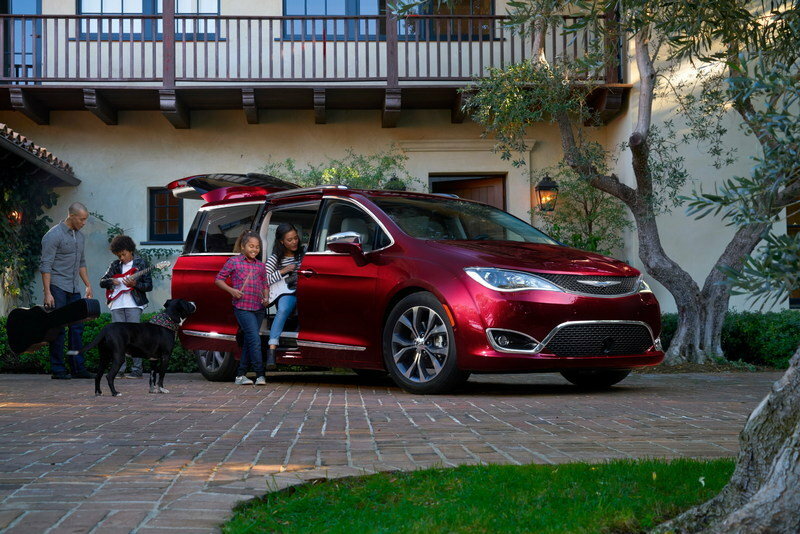 The 2017 Chrysler Pacifica will be available in dealer showrooms in spring 2016, with the Pacifica Hybrid arriving in the second half of 2016. The Chrysler Pacifica won’t be the only new minivan on the market in 2017. Honda is giving its Odyssey minivan a full makeover. Rumors suggest the new Odyssey will be more luxurious and feature higher-end materials, helping it compete with crossovers. There’s no official words from Honda as of this writing, but expect the Odyssey to be the Pacifica’s hardest competitor. Read our full review on the Honda Odyssey here. Also coming hard into the market is the recently-updated Sedona. 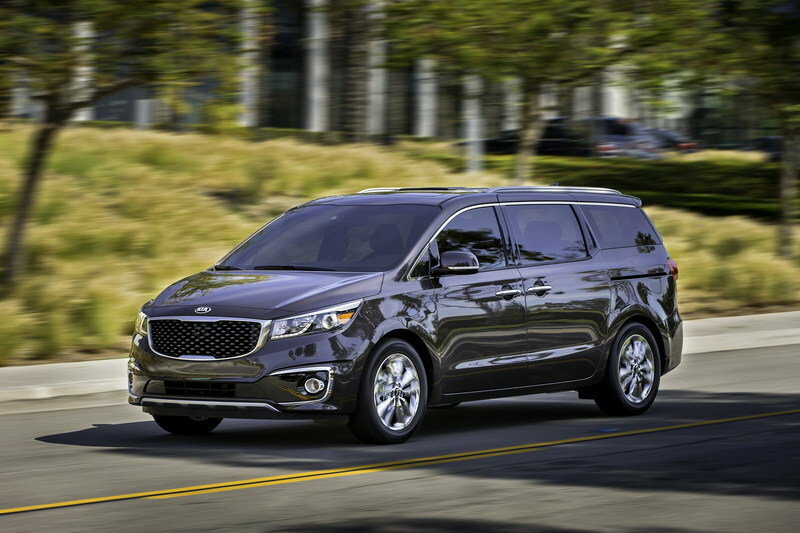 New for the 2015 model year, the Sedona come injected with plenty of Kia’s upscale looks with moderate pricing. 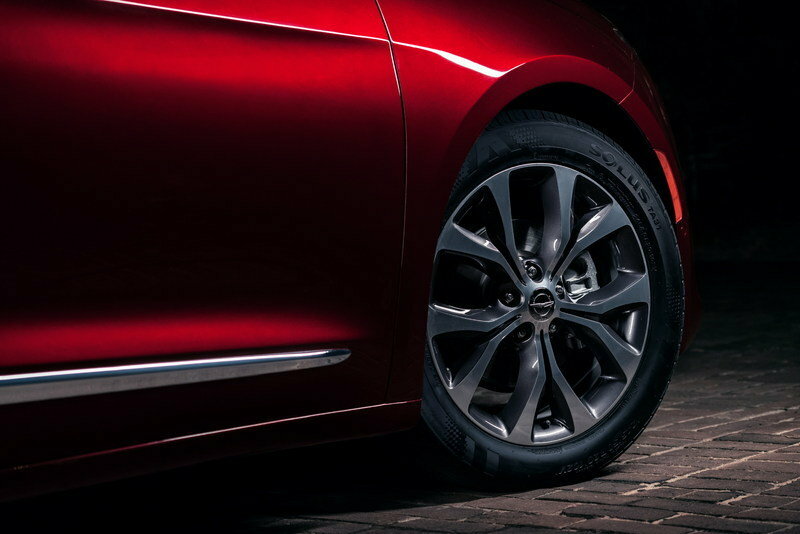 The corporate tiger-nose grille, LED lighting accents, and handsome side profile make the Sedona a chiseled competitor by looks alone. Once inside, the Sedona doesn’t disappoint. High-end materials and a smartly designed dash make this minivan look more like a luxury sedan. Second row passengers will feel the same with the optional reclining seats with foot rests. Power comes froma 3.3-liter V-6 that powers the front wheels with 276 horsepower and 248 pound-feet of torque. Five trim levels are offered with prices starting at $26,400 and cresting into the low $40,000 mark. Read our full review on the Kia Sedona here. It seems FCA has done its homework with the 2017 Pacifica. 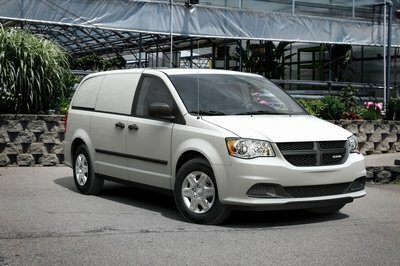 The handsome exterior looks, well-appointed interior, updated powertrain with optional hybrid system, and a new identity all work together to help liven up Chrysler’s dull minivan. When the Pacifica hits the market in Fall 2016, we expect it to be a smash hit despite the expected increase in MSRP. The minivan segment has quietly soldier on in the shadows of the ever-expanding crossover segment, but the Pacifica – in combination with the upcoming 2017 Honda Odyssey – should help reinvigorate the segment. Those wise enough to shop in the minivan isle rather than blindly buying a crossover because “it looks cool and isn’t a minivan” will be rewarded with a spacious interior, decent fuel economy, and enough in-dash technology to appeal to even the geekiest of passengers. All told, Chrysler’s efforts with the Pacifica should be richly rewarded with sales. Will it defeat the minivan stigma? 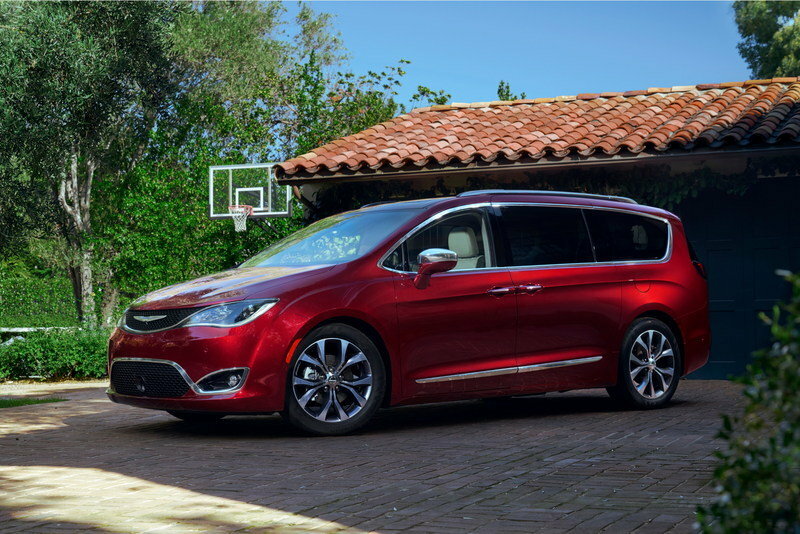 Updated 03/10/2016: Chrysler has announced pricing for the 2017 Pacifica. The new minivan starts at $28,595, which is $1,400 less than the outgoing Town & Country. 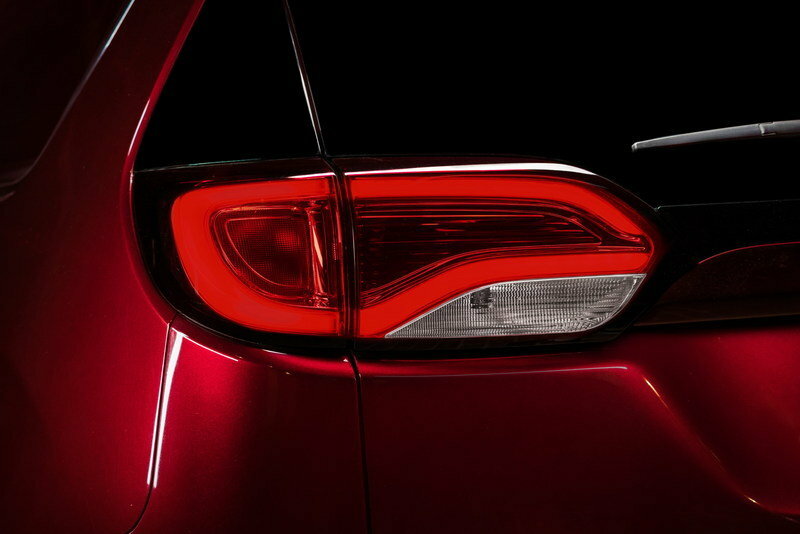 Delivering unparalleled levels of functionality, versatility, technology and bold styling, the all-new 2017 Chrysler Pacifica redefines the minivan segment.